Seattle has over 90 unique neighborhoods. 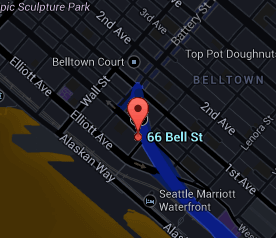 The location of Belltown Lofts is in the area known as Belltown. Every building has its own personality and attributes. The community is an important aspect of city living and can have an impact on how integrated it is with the residences. The Belltown Lofts building features can be explored here. A full list of amenities within the complex is displayed to help understand the offerings of the project. Originally built in 1914, Belltown Lofts was renovated by Driscoll Architects and U-Arc Design in 2000. The 6-story mixed-use building received a green honor award by AIA, the Built Smart certification by Seattle City Light and also obtained landmark status. Comprised of two buildings, the older portion is made of 25 true lofts which feature exposed brick interiors, 14 to 20 foot ceilings and oak beams. The other 33 units are traditional flats. The community shares a common rooftop terrace and top floor units have their own private decks. Floorplans range from 787 square feet to 1,580 and original prices ranged from $268,000 to $720,000. Structural engineering by Skilling, Ward, Magnusson, Barkshire Inc. and construction by Marpac. All active, contingent, pending, and sold listings for the Belltown Lofts building. The Stroupe Group specializes in downtown Seattle condominiums. All the articles that have been published by the Stroupe Group concerning Belltown Lofts and Belltown can be found here.